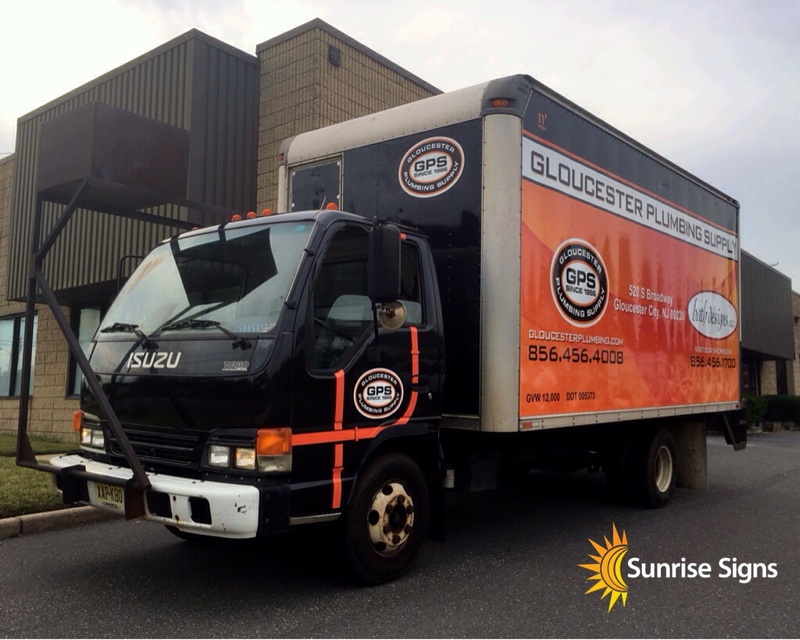 We recently completed fleet wraps branding for Gloucester Plumbing Supply. 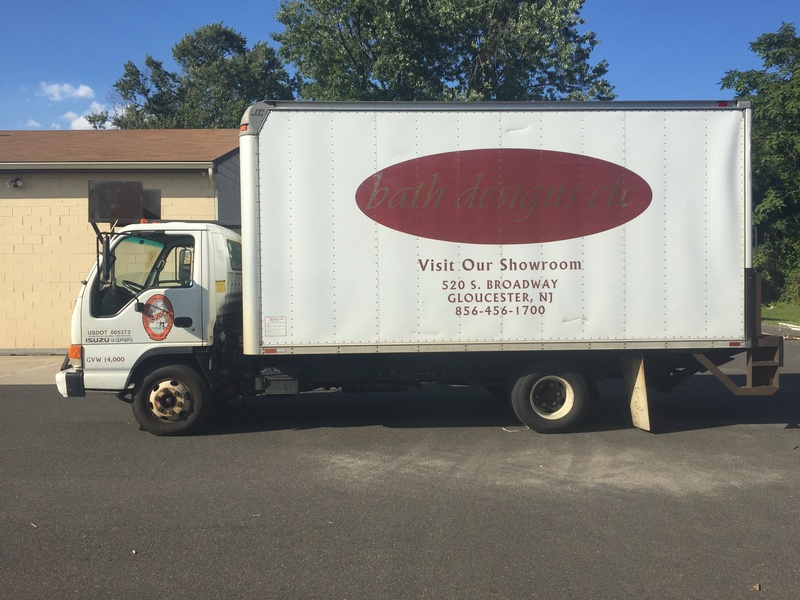 They have been serving the South Jersey area for over 40 years. Not only do they provide plumbing supplies for local contractors but offer bath design assistance. 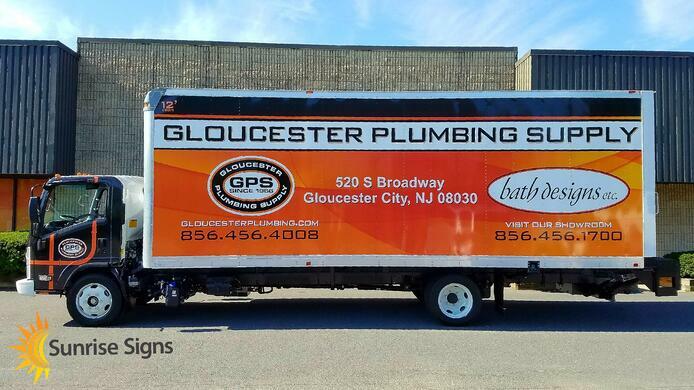 Gloucester Plumbing Supply has a bath design showroom located in Gloucester City, New Jersey. Our fleet wrapping project included two box trucks and a pickup truck. Prior to the wraps the customer only had used spot graphics on the doors and box. They also had graphics that were painted incorporated with vinyl graphics. 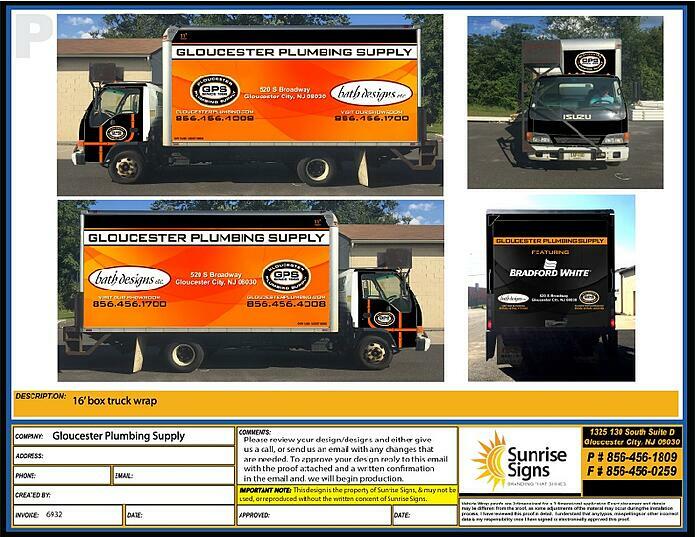 The new, uniformed vehicle wrap design includes their logo with piping running along the cab. On the box it clearly says the business name and location with their logo in bright eye catching colors. The logo's are easy to read and there is no question as to what the purpose of the business is. Fleet branding is useful for any company and serves multiple purposes. Obviously it covers the basic requirements for commercial vehicles showing license numbers, phone numbers, and the city where the business is located. It also helps to make the business name and brand more recognizable, increasing its brand recognition and brand awareness. Fleet branding creates a professional uniformed look across all business vehicles. 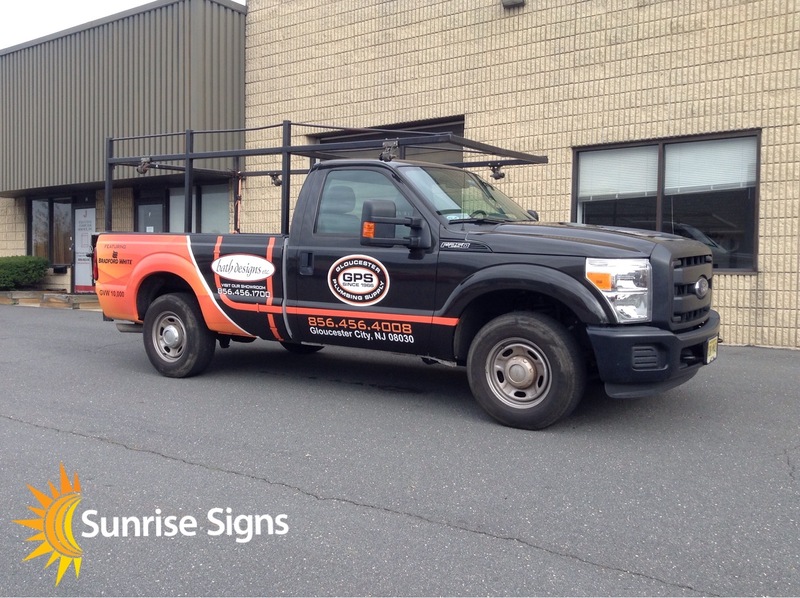 So whether you have one or one hundred vehicles for your business, branding with Sunrise Signs should be on the top of your marketing list. Give us a call or request a quote today and we’ll get your brand on the road!